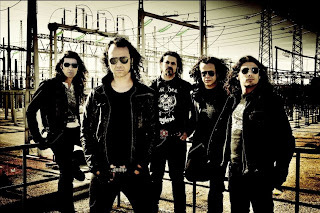 Arguably the most significant metal band to emerge from Portugal, Moonspell has worked through a number of stylistic shifts over their twenty-year career. 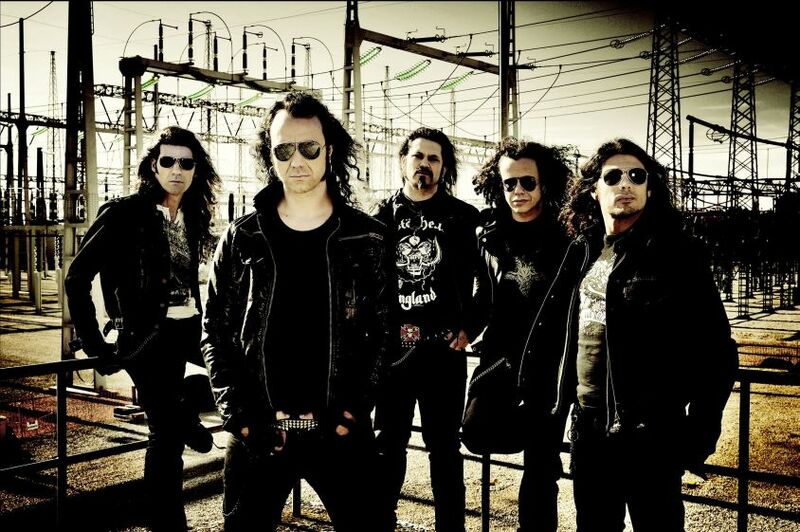 Originating as a fairly straightforward black metal outfit with a penchant for atmospheric compositions, Moonspell morphed into a primarily Gothic metal entity replete with baritone vocals and haunting synth effects. Recent work from the Portuguese powerhouse has seen the Gothic trappings - particularly the vocals - scaled back while the more extreme elements heard on the early albums take center stage. Across the band's body of work, though, the songs have always been on a rather majestic scale derived from skillful exploitation of keyboard melodies and varying guitar tones. With Alpha Noir - Omega White, Moonspell looks to push the songwriting envelope even further and deliver a two-disc pilgrimage of gargantuan proportions. Unfortunately, Napalm Records did the music media a disservice by allowing access only to the first installment, Alpha Noir, so I'm unable to comment on how the brutality of the first disc is said to be contrasted by the beauty of the second. 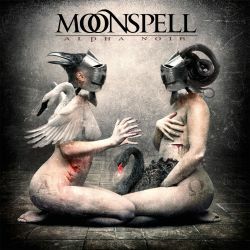 So the focus of this review is instead solely on Alpha Noir, nine songs that fit in closely with Moonspell's previous couple of albums. Frontman Fernando Ribeiro is back at the helm with his snarls and barks, giving just a brief taste of Gothic vocals on "Axis Mundi" and the title track. Even in the absence of clean singing, Ribeiro does a fine job enunciating the lyrics without sacrificing any of the aggressiveness of his delivery. As has come to be expected from guitarists Pedro Paixao and Ricardo Amorim, the riffs on Alpha Noir are engaging despite being rather complex and varied. "Axis Mundi", one of the highlights of the album, features grand, swirling riffs complemented by the catchy use of Aires Pereira's bass. On the title track, the two six-stringers go for a bit of a Mudvayne sound before expanding the guitar tone in a nicely crisp direction. A brief but notable solo interrupts a bit of a breakdown near the song's end, soon after which Pereira's rumbling bass announces the start of "Em Nome Do Medo". The strong keyboard undertone of this track, courtesy of Paixao, combined with Portuguese lyrics, results in another remarkable song. The final track of Alpha Noir, "Sine Missione", is a strong atmospheric piece designed to provide a transition between the previous eight aggressive tracks and the supposed etherealness of the Omega White disc. As I said at the beginning of this review, we'll have to take Napalm's word for it. Alpha Noir on its own, however, is a solid dark metal affair that fans of Moonspell shouldn't hesitate to consume. There's an experimental quality to the music, but not in an overbearing or meandering sense, so most fans of darkened, melodic metal will want to give this one a go.